A programme for strengthening and further develop digital decision support systems to face new information demand for sustainable and efficient agricultural production. LADS’ research is carried out in close collaboration with authorities, industry and farmers. Several decision support systems and geospatial datasets for precision agriculture have been and are being developed during recent years through successful collaboration between SLU and different players such as Hushållningssällskapet, DataVäxt AB, Lantmännen, Agroväst Livsmedel AB, Greppa Näringen och Jordbruksverket, Sveriges Geologiska Undersökning, Västra Götalandsregionen, Solvi AB and others. International work is currently carried out through EU Interreg projects in northern Europe, but also in Africa, e.g. in collaboration with the International Center for Tropical Agriculture (CIAT). Read about our projects under the image slide show. CropSAT is a decision support tool for practical precision agriculture based on satellite data developed by members of the LADS group. It has thousands of users. CropSAT is now available globally – with several language versions, and collaboration with organizations in many countries. Several LADS projects aim to improve this type of tool. Markdata is a decision support tool based on the Digital Soil Map of Sweden (DSMS). We develop interactive functionality enabling users to downscale soil maps in the system. The Digital Soil Map of Sweden (DSMS) – a national geospatial soil properties database useful in precision agriculture and developed by the LADS group – and further development is ongoing. The Sub-Saharan Africa Soil Data Manager – an application for accessing and downscaling of large-scale soil data, for applications dealing with e.g. food security and climate change mitigation. Drones are currently revolutionizing certain parts of agricultural research. With the Zonal Statistics Tool in Solvi.nu, using drones in field trials has become much easier. There is currently no open algorithm for optimising N rates to grain crops for general and free use. The aim of this the proposed project is to develop public algorithms between multispectral reflectance measurements of the crop and the economically optimal nitrogen rate. We aim to facilitate optimisation of nitrogen fertilisation for most of Sweden's grain producers. To achieve this, we will develop and evaluate prediction models for economically optimal nitrogenrate (EONR) in wheat (Triticum aestivum L.) and malting barley (Hordeum vulgare L.), based on near real-time satellite reflectance data (Sentinel-2) at the time of supplemental fertilisation. The prediction models will be designed for use in satellite-based decision support systems for precision agriculture (e.g. CropSAT), to translate satellite data into directly applicable N rate recommendation maps. Better-optimised nitrogenrates mean better profits for farmers, better scope for achieving quality goals for produce and reduced environmental risks in terms of nitrogen leaching and/or volatilisation of nitrogen compounds. The project starts in 2019 and ends in 2021. Well-informed decisions on land use and agricultural practices are crucial for food security and sustainable agriculture. Agronomic decisions must be based on local conditions and this call for the development of efficient soil mapping methods of East African agricultural soils. The present project deals with pedometric considerations and outline methodologies for in situ and ex situ soil measurements by use of proximal sensor, local map adaptation of large-scale digital soil maps and inclusion of soil data in crop suitability modelling. The work focusses on soil properties that are important for crop productivity (the content of organic carbon, texture, plant-available nutrient content, and soil pH) and results are intended for use by agricultural extension officers, technicians and other scientists. An important part of the project is to disseminate the results to stakeholders and educate agricultural extension officers on how to use the digital soil map information in management decisions in smallholder farming systems in East Africa. The project is a collaboration project between the International Centre for tropical Agriculture (CIAT) and SLU. The project started in 2014 and ends in 2019. Nijbroek, R., Piikki, K., Söderström, M., Kempen, B., Turner, K., Hengari, S., & Mutua, J. (2018). Soil Organic Carbon Baselines for Land Degradation Neutrality: Map Accuracy and Cost Tradeoffs with Respect to Complexity in Otjozondjupa, Namibia. Sustainability, 10(5), 1610. Piikki, K., Winowiecki, L., Vågen, T. G., Ramirez-Villegas, J., & Söderström, M. (2017). Improvement of spatial modelling of crop suitability using a new digital soil map of Tanzania. S. Afr. J. Plant Soil, 34, 243-254. Söderström, M., Piikki, K., & Cordingley, J. (2017). Improved usefulness of continental soil databases for agricultural management through local adaptation. South African Journal of Plant and Soil, 34(1), 35-45. Piikki, K., Söderström, M., Eriksson, J., Muturi John, J., Ireri Muthee, P., Wetterlind, J., & Lund, E. (2016). 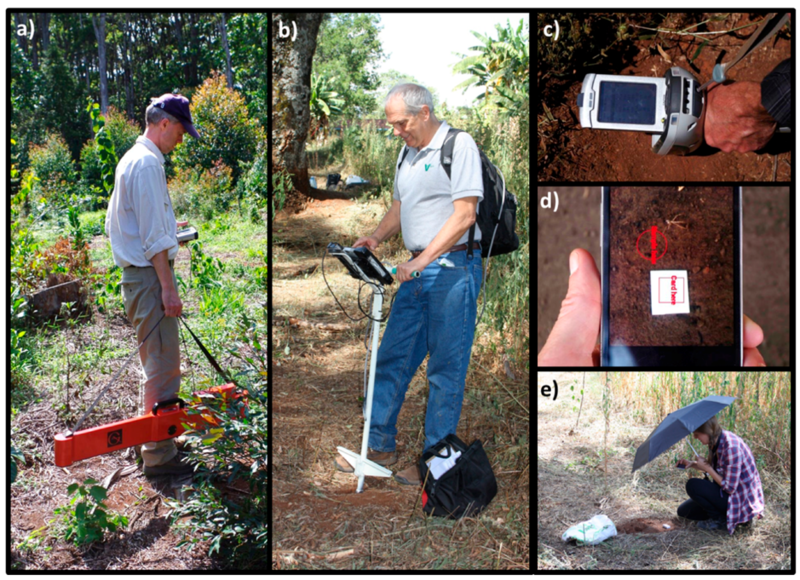 Performance evaluation of proximal sensors for soil assessment in smallholder farms in Embu County, Kenya. Sensors, 16(11), 1950. Soil carbon under current and improved land management in Kenya, Ethiopia and India: Dynamics and sequestration potentials. Working Paper. CIAT Publication No. 475, Nairobi, Kenya. 2018. Sequestering carbon in African soils – we need data, knowledge and tools for decision support. NEWSLETTER#2 2018 - “4 per 1000“ Initiative, page 7. The long title is the name of the initial SLF-funded project that lead to the development of the web application CropSAT. CropSAT has become a widely used decision support tool primarily for precision application of nitrogen. In 2018 the system had more than 20000 users, most in Scandinavia. Responsive fertilisation of winter wheat (Triticum aestivum L.) is often adopted, with nitrogen (N) applied two or three times between the developmental stages of tillering and booting. Satellite-based decision support systems (DSS) providing vegetation index maps calculated from satellite data are available to aid farmers in adjusting the topdressing N rate site-specifically to the current season and to variations in growth conditions within the field. In this project, the freely available CropSAT DSS was developed and evaluated. The system provides farmers with raster maps of the modified soil-adjusted vegetation index (MSAVI2) or normalized difference vegetation index (NDVI) (the latter in Denmark, the former elsewhere) calculated from data obtained from satellites Sentinel-2 (ESA,EU). The project was a collaboration project between SLU, Hushållningssällskapet, DataVäxt AB, Agroväst Livsmedel, and Greppa Näringen (Focus-on-Nutrients). Later on SEGES in Denmark became involved in the development. Further research and development on functionality of CropSAT and satellite-based systems is ongoing in LADS. CropSAT – a satellite images based decision support system, free to use. The first application of its kind in Scandinavia. Project team 2013-2014: Mats Söderström, SLU (PI); Henrik Stadig, Hushållningssällskapet; Johan Martinsson, DataVäxt AB. The initial project started in 2013 and ended in 2014. Later external support from other donors and continued in project form until 2018, when it was acquired by DataVäxt AB. Research and development on CropSAT and satellite-based systems continuous in LADS. 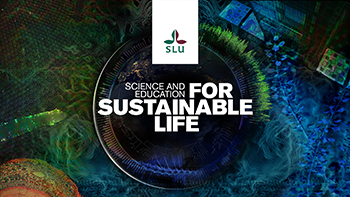 Swedish Foundation for Agricultural Research (SLF) (proj. no. H1233115), and Focus-on-Nutrients (Swedish Board of Agriculture). Development have been supported by SEGES (in Denmark) and Yara (in Norway). Söderström, M., Piikki, K., Stenberg, M, Stadig, H., Martinsson, J. 2017. Predicting nitrogen uptake in winter wheat by combining proximal crop measurements with Sentinel-2 and DMC satellite images in a decision support system for farmers. ACTA Agric. Scand. Sect. B, Soil and Plant Sci., 67, 637–650. Söderström, M., Stadig, H., Nissen, K., Piikki, K. 2015. CropSAT: kväverekommendationer och grödstatuskartering inom fält genom en kombination av satellitdata och N-sensorer. POS Teknisk rapport 36, Institutionen för mark och miljö, Sveriges lantbruksuniversitet. (In Swedish). CropSAT – gödsla rätt med satellitdata. Precisionsskolan, Verktygsportalen (in Swedish). Kunskapspodden. 2018. Precisionsodling del 1 – från markkartering till satellitbilder. Pod (in Swedish) partly about CropSAT. Aronsson, H., Hoffmann, M. 2018. Precisionsodling, Goodla, Video (in Swedish) on precision application on variable-rate application of nitrogen – one part is about CropSAT. SEGES. 2018. CropSAT til gradueret gødskning (video in Danish). DataVäxt AB, Yara AB. 2018. CropSAT (video with Norwegian text). Agroväst Livsmedel. 2017. Agroväst 25 år – Agroväst samordnar utvecklingen av Västsvenskt lantbruk. Video (in Swedish) partly about CropSAT. SEGES. 2016. Kom godt i gang med CropSAT, og brug det til omfordeling af kvælstof (webinar 7. april 2016) (video in Danish). Sinergise, 2016. Sentinel Hub powering CropSAT.dk. Blog. Solvi.nu is web application for management of drone images. One special feature in the system is management of images acquired over field crop trials. The aim of this tool was to facilitate the use drones in crop trials, which is of world-wide interest. Much of what we know about how new crop varieties react under field conditions, as well as how to optimize fertilisation and other management actions, emanates from field trials. A field trial may consist of hundreds of small plots in which crop response to management can be assessed in a statistically rigorous manner. During later years the use of crop sensors have become more common in this work, and drones (unmanned aerial vehicles, UAV) as a platform for measurement is regarded as very promising. 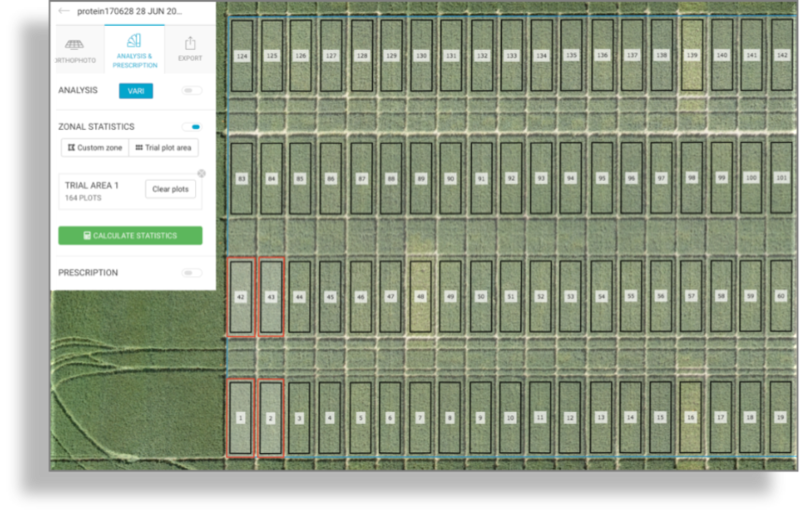 In order to automate the management of drone images from field trials, we have developed a new cloud-based tool that requires a very limited input from the user. The tool automatically detects boundaries of each plot in a mosaic image through a neural network model, and calculates summary statistics for individual bands and selected vegetation indices. Plot-wise data can then be exported as text files or in geographical formats for further analysis in geographical information systems. The Zonal statistics and Trial plot extraction tool was implemented in Solvi (www.solvi.nu) - a web application for drone imagery analysis. Further development is ongoing. 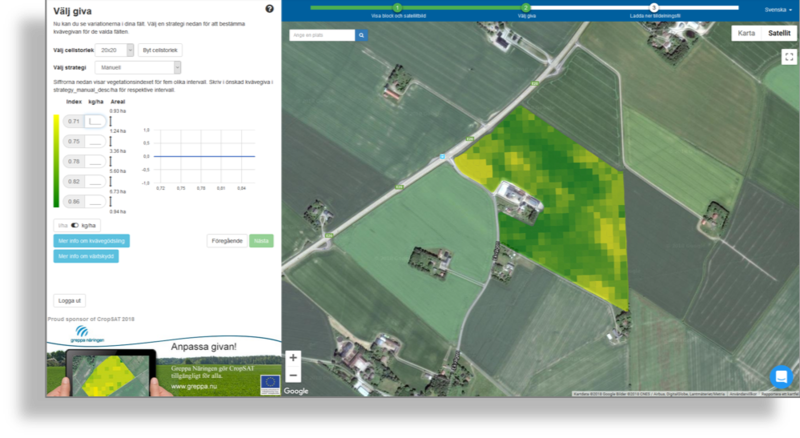 Through the Zonal statistics and Trial plot extraction tool in Solvi.nu it becomes much easier to use drones in field trials. Mats Söderström, SLU; Sofia Delin, SLU; Igor Tihonov, Solvi. The project started in 2018, and a functioning version is currently online. Further development is ongoing. Vinnova (dnr: 2016–04248) within the Testbed UAV project, coordinated by RISE Research Institute of Sweden AB. Solvi.nu – free trial is available. Solvi. 2018. Introducing Zonal Statistics and Trial Plot extraction tools. Blog. LADS was initiated within the VGR/SLU project RUN 2018-00141, including financial support from Dataväxt AB, Sweden. Project specific donors are acknowledged under the project descriptions.